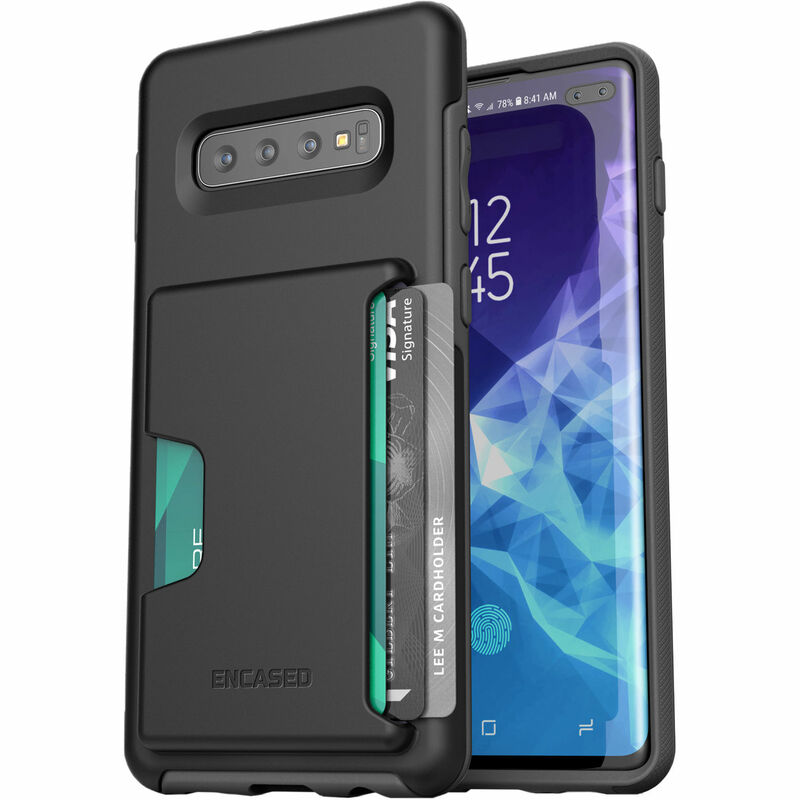 Protect your Samsung Galaxy S10+ with a practical twist using the Encased Phantom Ultra Slim Case with Card Holder. This case snaps onto your smartphone to provide impact and scratch resistance and features a built-in card holder on the back. The holder is designed to securely store up to three IDs, credit, or debit cards. The sides of the case have a textured finish to help give you a secure grip, and cutouts give you access to all ports without having to remove the case. Additionally, all the edges of this case and the molded card holder are rounded to help give you a more comfortable experience when handling your phone. Box Dimensions (LxWxH) 5.4 x 3.8 x 0.7"